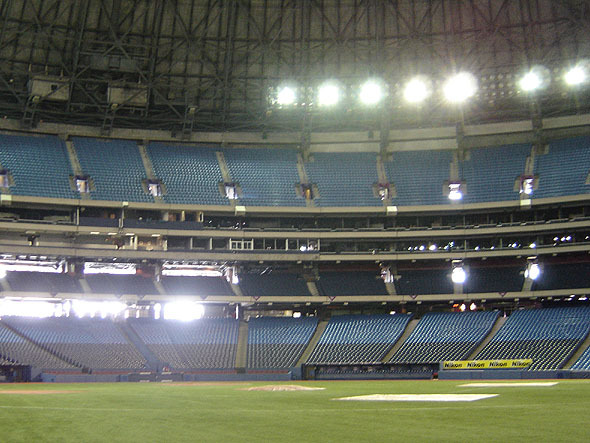 The Rogers Centre (formerly the Skydome) is the home of the Toronto Blue Jays Baseball Club, World Series Champions in 1992 and 1993, and the Toronto Argonauts Football Team. It was considered a breathtaking technological achievement when completed in 1989. 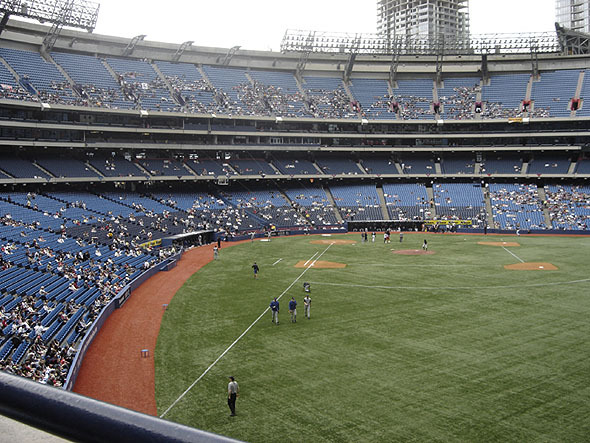 It is still one of Toronto’s top three tourist attractions and a model for architects of future domed stadiums currently being built around the world. 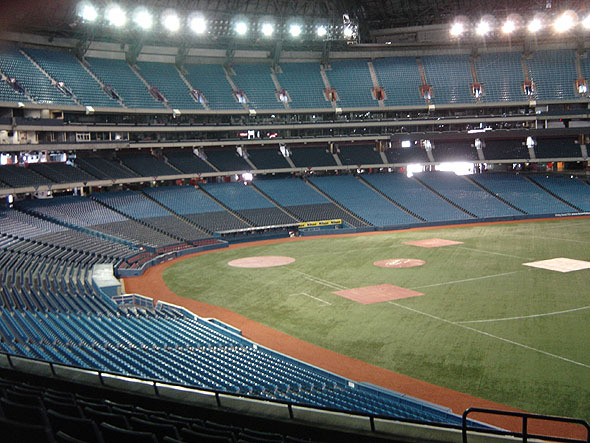 SkyDome was originally constructed at a cost of $580 million, including the cost of the hotel, a health club, demolishing Toronto’s main water pumping station, restructuring a new one across the street, building new streets and bridges, and other area infrastructures. It was sold in late 2004 for 25 million dollars.